and speaks Eastern Anmatyerr with English as a second language. She is the daughter of Margaret Loy and Ray Loy Pula. Her aunt is the celebrated artist, Gloria Petyarre. Abie Loy Kemarre began painting in 1994 under the guidance of her grandmother and renowned artist, Kathleen Petyarre. 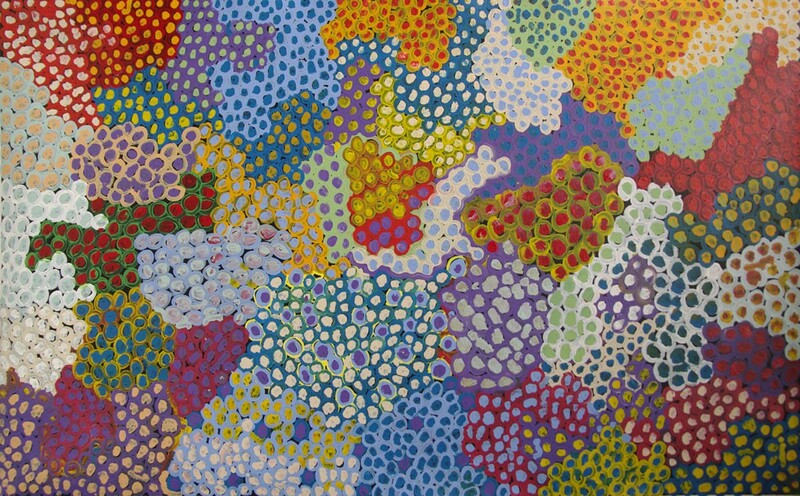 Abie adopted the delicate dotting techniques used by Kathleen as well as developing her own unique style. 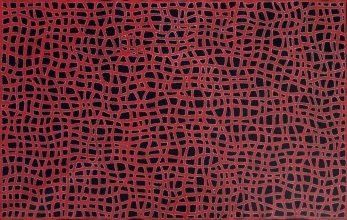 Over time, Abie Loy Kemarre's paintings further evolved through her skill as a talented colorist and during 2001/2002, Loy introduced a bolder, more abstract style in her Sand hills and Body painting series. These newly evolved paintings are representational of her inherited Dreaming stories, however, these powerful images could be stylistically interpreted as abstract, expressionist and even post-modern. 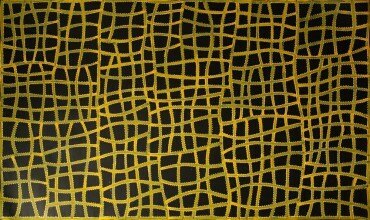 Abie Loy Kemarre's unique style of painting has brought her critical acclaim that postures her at the leading edge of Aboriginal & Australian contemporary art movement. The stories that are portrayed in Abie's painting include Body Painting, Bush Hen Dreaming and Bush Leaves. Her works are held in major collections all over the world. Batik work exhibited in Bali, works on canvas exhibited extensively both nationally and internationally. The leaves are collected by the Aboriginal Women, boiled, kangaroo resin added and mixed into paste, which is celebrated by aboriginal people, as bush medicine to treat a variety of illnesses.